Former Florida Gov. Jeb Bush said that he would have authorized the 2003 invasion of Iraq even if he knew then what he knows now, the potential presidential contender said in an interview with Fox News. “I would have, and so would have Hillary Clinton, just to remind everybody. And so would almost everybody that was confronted with the intelligence they got,” Bush responded. “You don’t think it was a mistake?” Kelly asked afterwards. At this point, Bush acknowledged that the invasion was based on “faulty” intelligence but did not back down from his initial answer. The fact that Bush claimed little daylight between him and the 43rd president, however, triggered all sorts of criticism online, from liberals and conservatives alike. 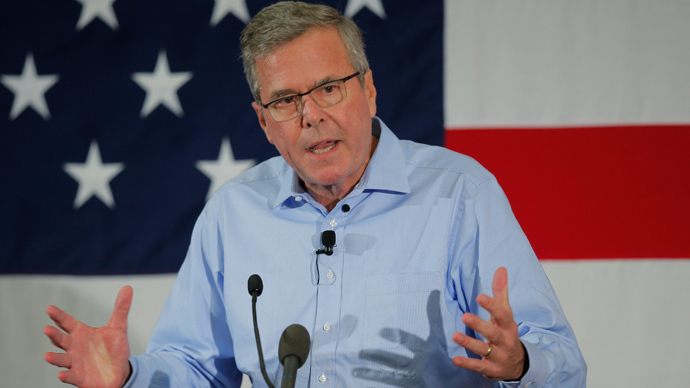 The remarks were also seen as damaging to any presidential campaign for Jeb Bush, who has not officially entered the race, because many believe the former governor needs to distance himself from George W. Bush in order to gain traction with the general population. Notably, George W. Bush himself has called the intelligence he received “false,” not just faulty, reported Byron York of the Washington Examiner. “The reality was that I had sent American troops into combat based in large part on intelligence that proved false,” George W. Bush wrote in his memoir, titled “Decision Points." Bush added that the fact that there were no weapons of mass destruction found in Iraq dealt a “massive blow” to his credibility. York also criticized Jeb Bush for arguing that Clinton and others would have authorized the war regardless of whether or not they knew Iraq had WMDs. Meanwhile, Democrats were quick to jump on Bush’s comments, with the Democratic National Committee posting a critical advertisement comparing the Florida governor to his brother. Bush’s Iraq comment was the second time in less than a week that he made a controversial comment regarding the Middle East. Last week, he called George W. Bush one of his top advisers on US-Israel relations. Earlier this year, Bush seemed to put some distance between himself and his brother and father, both of whom were elected president.